2. It is ESSENTIAL to buy an OYSTER CARD. An Oyster Card you will help you SAVE MONEY AND TIME. 3. The London Underground has 13 lines ranging from the centre to the outskirts, EASY to identify without ANY COMPLICATIONS. 4. There is a HUGE NUMBER of people who take public transport to go to work EVERYDAY. 5. 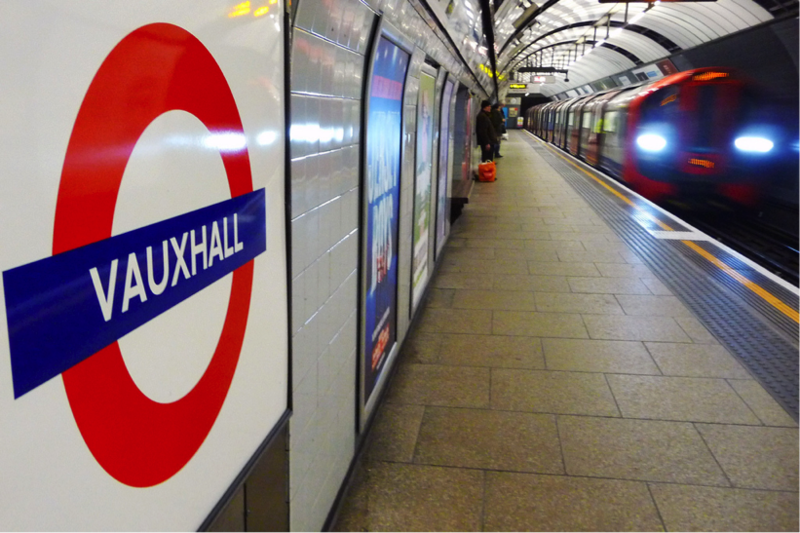 Although it is very BUSY, tubes come every one or two minutes, so London transport is VERY FAST AND PUNCTUAL. Once you have learnt the basics of London’s public transport, you might ask yourself what you can do to make it better. For all you guys who have come to London to work long-term and have to take the underground as part of your commute, you should know there are ways to help you save money on travel and make your stay in London all the more relaxing. The best one is to join CommuterClub. 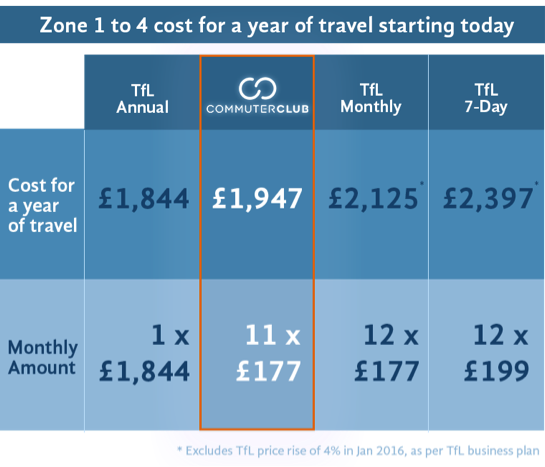 CommuterClub offers a chance to buy affordable Annual Travelcards but still spread the upfront cost into monthly payments. Standard annual tickets from Transport for London (TfL) offer consumers discounts of between 10-30% versus purchasing weekly or monthly tickets, but TfL will charge you upwards of £1,000, putting them beyond the reach of many consumers. For this reason, CommuterClub provides you with a simple and transparent monthly payment plan with no hidden fees. Take a look at the savings! You can save even more with CommuterClub using our special code for citysocializer users – CITYS1 and get £10 off your first month. Remember, if you want to save money and a hassle free commute, CommuterClub won’t disappoint you!